The current jointer I love and hate. I'm currently thinking that I may be better off with a 12" combo machine instead. I would have to put it on a mobile base, but it could be more efficient with space than the two machines and would certainly increase my jointing capacity. 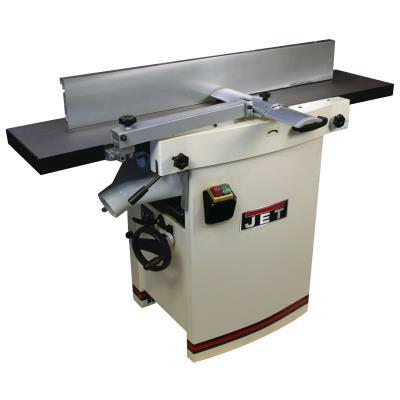 I want this to be my last jointer/planer purchase for a decade or two and I want it to have a helical cutter head. I'm currently considering (and saving for) the Jet or Grizzly. Woodcraft had a 15% off sale this past weekend on the Jet, which got me thinking. 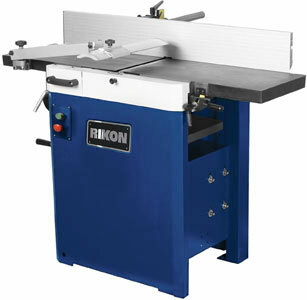 I also noticed in the new Rikon in an email from Highland Woodworking today. I was wondering if any of you have these (or other) combo machines? Are they worth it? Is setup an issue? Most importantly, how close to a wall can you place the machine?